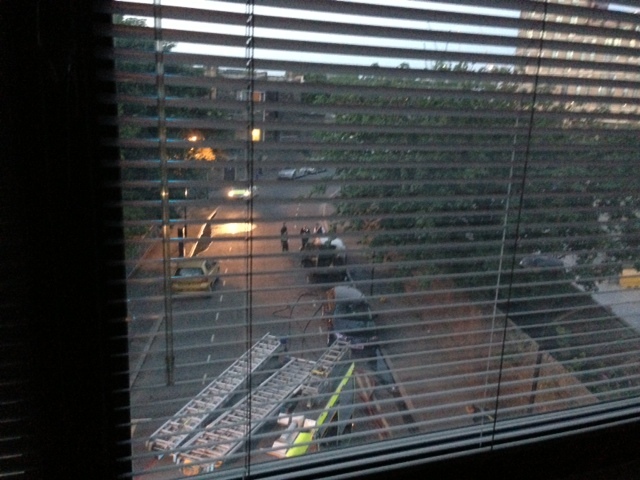 Things are going on fire in Rufford Street again, at about 0500 this morning – resident Stuart has sent in some pics. It’s a bit early in the morning for the traditional arsonists so we’ll have to wait and see what the cause is – police forensics are on the scene. 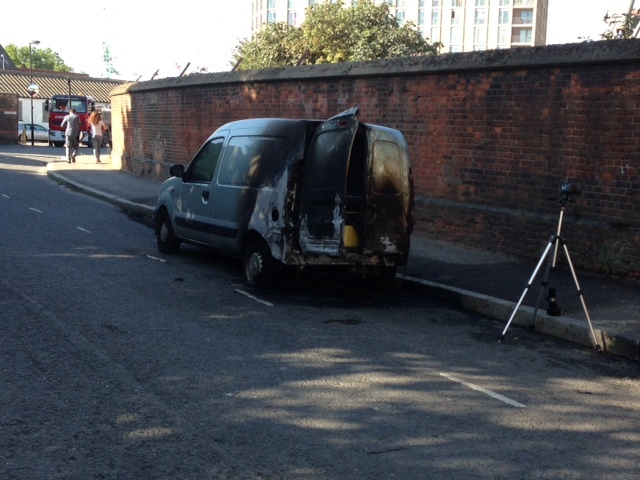 Appears to be a rail contractor’s van so it could be some badly stored chemicals getting a bit frisky. This entry was posted in Anti Social Behaviour, Crime etc. Bookmark the permalink.